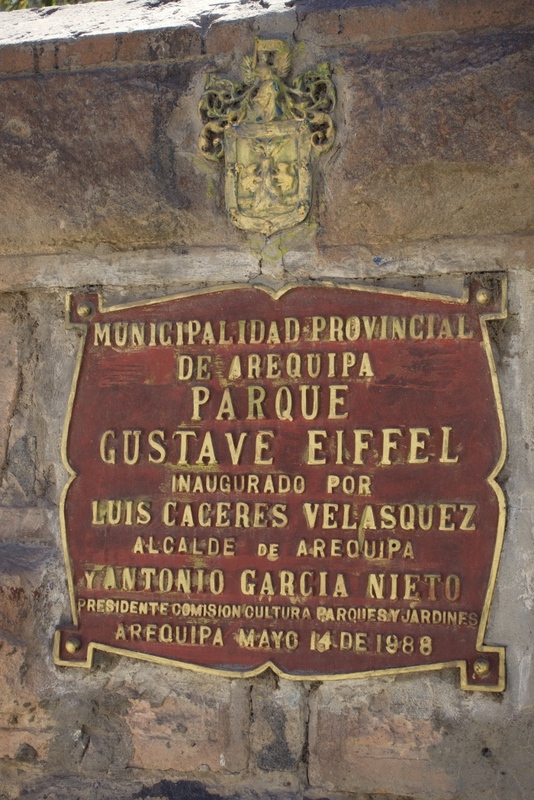 Published 2016-05-28 at 700 × 1049 in On Seeing “Eiffel’s Bridge” in Arequipa. Evidence to the contrary, it’s not an Eiffel bridge. But really, who cares? The park is a quiet respite from the city bustle.